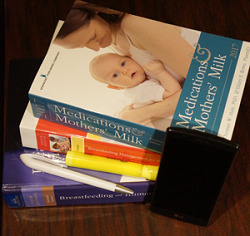 Lactation Education Resources has been providing lactation management courses for over 15 years. The Baby Friendly Hospital Training has been developed specifically to meet the educational requirements of Baby-Friendly USA. The course covers all 'Ten Steps to Successful Breastfeeding' and will prepare your staff to care for breastfeeding mothers AND successfully pass the BFHI site visit. View a full proposal! Fifteen hours of webcast lessons (video of power point presentation with instructor’s audio) covering all of the 10 Steps to Breastfeeding Success. Lessons range from 20 – 45 minutes in length. If you allow staff to complete modules during work hours, this would allow them to squeeze a lesson or two during down time. Request a Quick Quote! Three hours of training are required for physicians. These are available in webcast format as well and provides 3 CME's. Do you have your own Learning Management System? Our courses are SCORM compliant and we can provide files for you to load onto your own LMS. We will work with your technicians to assure it is compatible. A format for the 5 hours clinical practicum is included. You may choose for your staff to accompany your staff lactation consultant on unit rounds, or set up a skills fair day. Talking points for each station are included. View the Baby Friendly Hospital video with valuable information regarding what is included in our program.